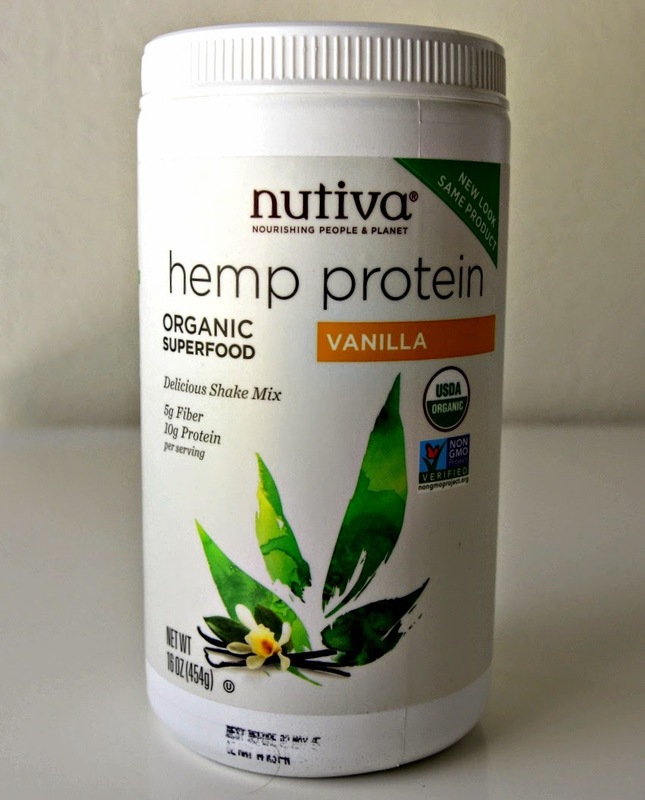 Select products mentioned in this post were provided for free from Nutiva. No compensation was received. All opinions are my own. It's 2014. All cookies should be vegan at this point. Samoas are my all time favorite Girl Scout cookie, but I haven't had one in over 10 years. There are recipes out there for vegan samoas that tend to be a little time consuming, and the question on making them really becomes "How badly do I want these suckers?". Usually not enough to spend forever in the kitchen. Thank goodness these Samoa Bliss Balls completely satisfy my cravings for chocolate, coconut and vanilla cookies. They are so much healthier for you than the real deal, and even contain lots of good-for-you fats, fiber and protein. 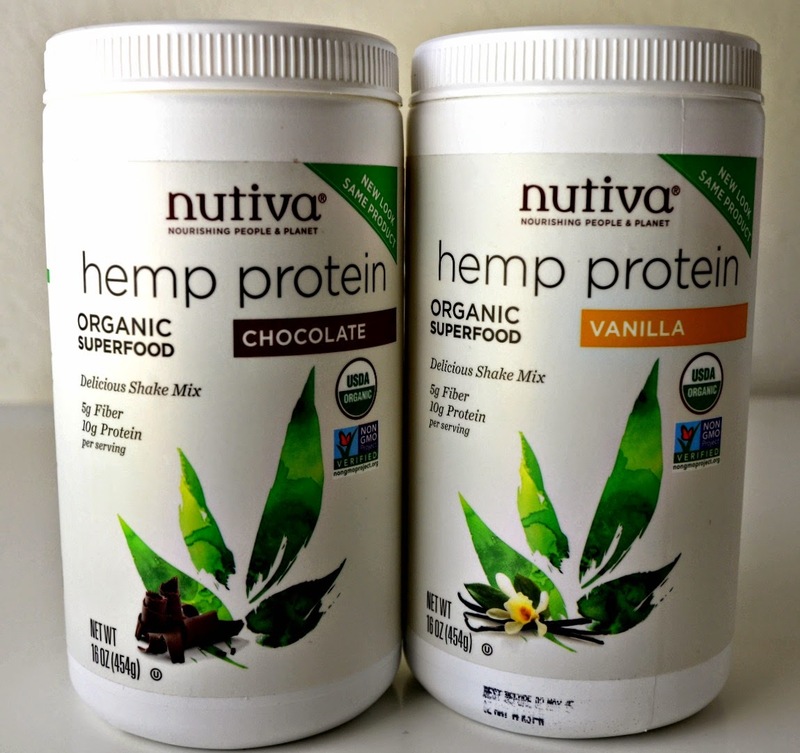 Like my Thin Mint Bliss Balls these were developed when Nutiva sent me their Organic Hemp Protein Shakes. This recipe uses the vanilla flavor which is my favorite of the two. 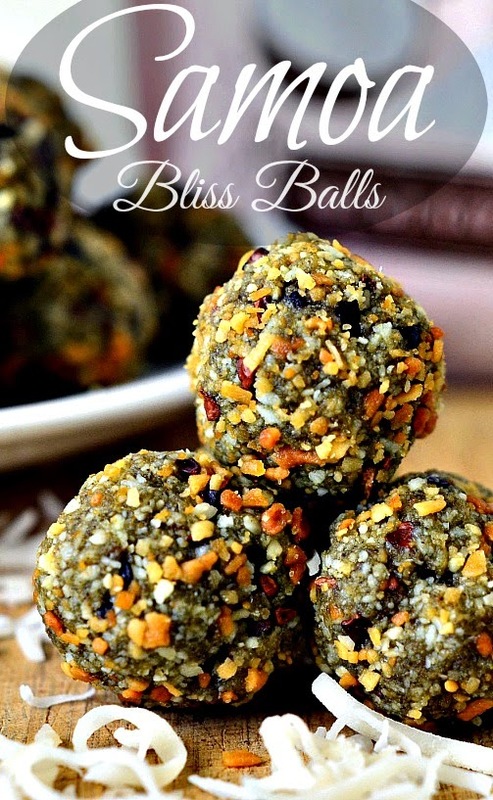 Combined with mildly flavored nuts and dates the vanilla flavor really comes through in the bliss balls. Superfoods in every sense of the word! Every time I eat one of these I have to smile at how good I'm being to myself. The toasted coconut makes them decadent while the nuts and dates give you energy that lasts and lasts. We've been eating them before bootcamp, and just one or two sustains us through lap after lap, burpee after burpee, lunge after lunge, box jump after box jump...you get the idea! We're hooked, and you will be too. 1. Heat your oven to 350 degrees. Spread the sweetened coconut onto a small baking sheet or skillet and toast for 8-10 minutes, stirring occasionally, until brown. 2. While the coconut toasts put the unsweetened coconut, cashews, dates, and hemp powder into a food processor and process until coarse. Add the agave nectar, and coconut oil and process until combined. 3. Pour the mixture into a bowl, and fold in the toasted coconut and cocoa nibs. 4. Roll the mixture into balls by the tablespoon, and place them on parchment paper. Store in an airtight container in the fridge. 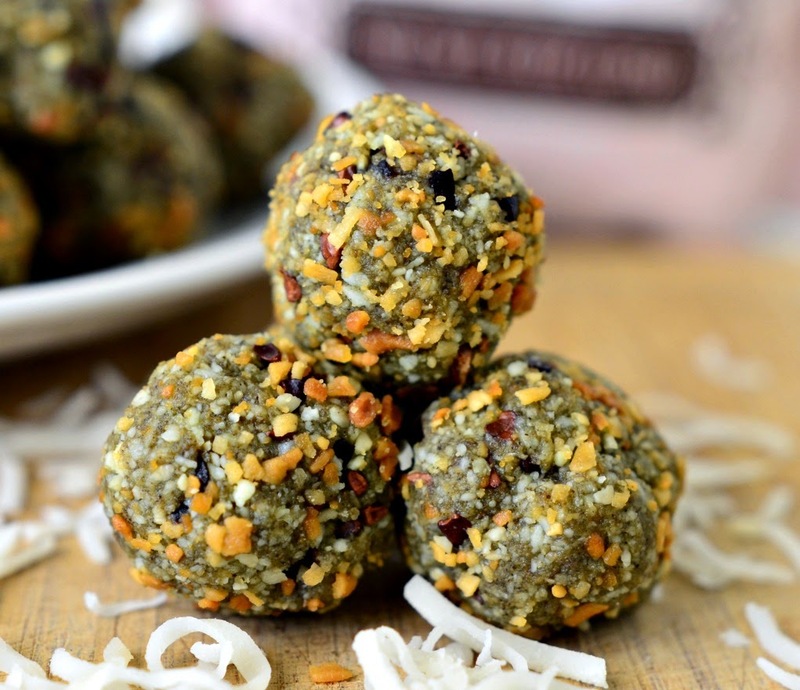 * Full disclosure, I rolled a few balls in toasted coconut for the food picture. It's not necessary, but if yours look different from mine that's probably why!